I'd say the greywater experiment has been a rousing success. Wow. It looks like our place! 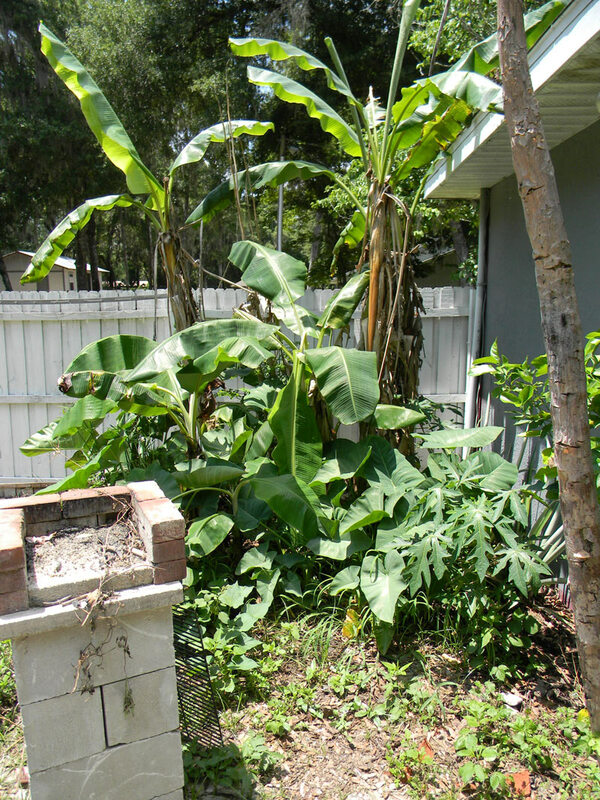 Don't you just love banana trees next to the house?! How do you KNOW it's the greywater? 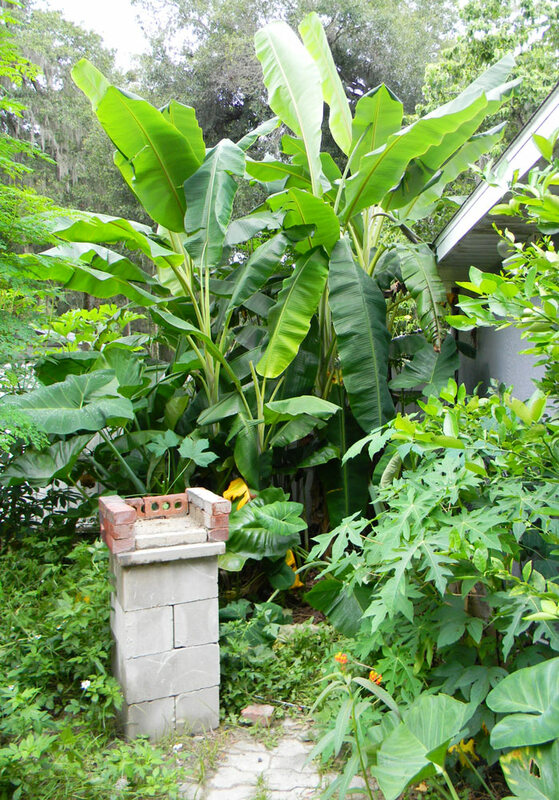 my newly planted cavendish bananas look like that, but it's been because of the rains this month. You should see the size of the weeds! Good question. All my bananas are doing good, as are my malangas. They love all the endless rain... but these are really going nuts. I have plants elsewhere in the yard that aren't quite as amazing. Wish I could run all my greywater outside but the slab construction of my home makes that almost impossible without a major refit, dang it. Rachel does laundry with our homemade lard soap... the washing machine output would be great... if the builders hadn't put the laundry room dead center in the house. Go on, have a cigar!